The 2015 Dominican Republic Jazz Festival is an annual event that Lifestyle Holidays Vacation Club is pleased to highlight for visitors and locals alike. Held in the first week of November, tourists can experience all that Latin jazz offers when visiting this island paradise. Lifestyle Holidays Vacation Club is proud to highlight the 2015 Dominican Republic Jazz Festival. Held in the first week of November, tourists can experience all that Latin jazz offers when visiting this island paradise. Cabarete, a small coastal village with a hip vibe, is the site for this year’s annual event. The Dominican Republic Jazz Festival originated in 1992 and is commonly regarded as one of the most notable music festivals in the Caribbean. The event’s founder and general producer is Lorenzo Sancassani, and the executive director is María Elena Gratereaux. The staff, volunteers and performers make this musical celebration memorable. 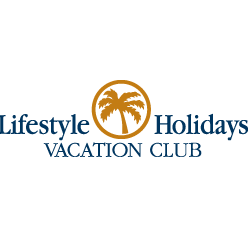 Lifestyle Holidays Vacation Club shares this year’s lineup. The Big Band Conservatory of Santo Domingo and the Student Loan Stringband play Wednesday, November 4. The Big Band Conservatory of Santo Domingo and Roy Assaf perform Thursday, November 5. Manuel Tejada, David Sánchez and Berklee Global Jazz Institute Student Group are to play Friday, November 6. Josean Jacobo and John Patitucci will play Saturday, November 7. Pengbian Sang, Retro Jazz, Mario Canonge and Pedro Martinez Group finish out the week on Sunday. Although general admission to the Dominican Republic Jazz Festival is free, attendees can pay $150 for a VIP ticket. Lifestyle Holidays Vacation Club recommends serious jazz fans consider making this purchase. VIP tickets include priority seating and special drinks for each night of the festival. Proceeds from the sales go to the Music Education Foundation that promotes free music education for Dominican Republic youth, FEDUJAZZ. Those who enjoy listening to the sounds of Latin jazz will feel right at home at this event. Lifestyle Holidays Vacation Club appreciates all the 2015 Dominican Republic Jazz Festival offers and is excited to welcome attendees who come here for this experience. For information on the media release of this piece, contact Walter Halicki at (877) 390-1597 or visit http://JWMaxxSolutions.com.